If you’re buying an older home, you may be shocked the first time you receive a water bill. Older homes don’t always have the latest in water-saving devices. Some even have a few water-gobbling features! The good news? A lot of these problems can be fixed quickly and cheaply. Little leaks. Always keep an eye for a leak! 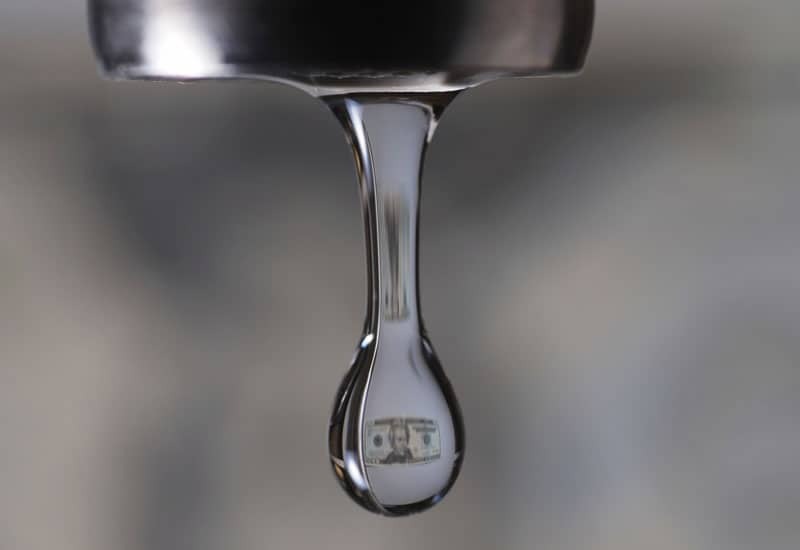 A dripping faucet can send up to 20 gallons of water down the drain every day. This is the first place to start when checking for waste. Change the washers on your sinks or keep the old ones but make sure that they are all well-maintained. Inefficient shower heads. Putting in new, water-saving shower heads can have a big impact on your bill. Look for low-flow shower heads that average 2.5 gallons or less per minute. Problem toilets. Do this food coloring test. In your toilet tank, put some drops of food coloring. If the color begins to appear in the bowl within 30 minutes without flushing, you have a leak that should be repaired immediately. Older toilets can use a lot more water than newer models, especially if an older one has a leak. Take a few minutes to inspect each toilet; you can typically hear and see evidence of leaks. Dual-flush and low-flush toilets can save a great deal of water and money. If there is no water being used, the water meter should have the same reading after two hours. If the meter does not read exactly the same, there is a leak. Another good way to save? Talk to your water company. Many municipalities have water-saving programs and incentives that can save you money. In some cases, they may be able to determine if you need a water pressure regulator, which could help cut down on your water use.